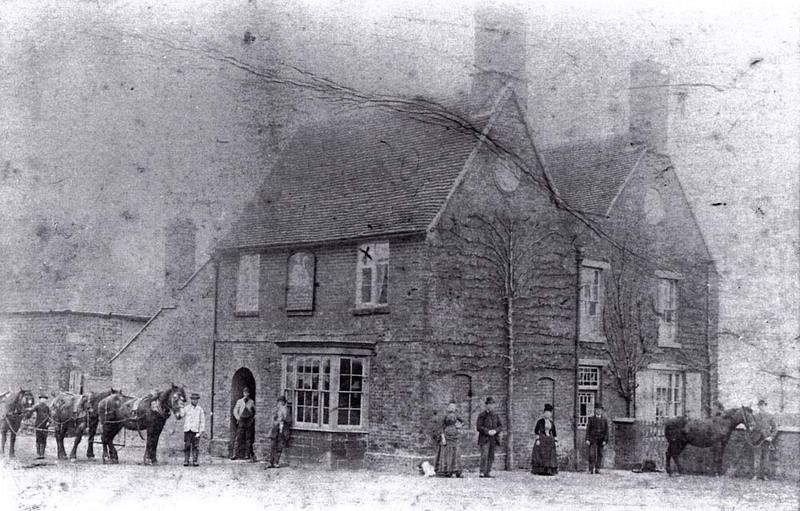 Swan Farm is now a family home, but in the past it was the important village inn. 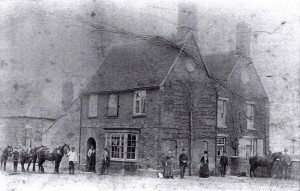 We are very much indebted to Gordon McIndoe of New Zealand who furnished us with a good copy of a photograph of the inn taken in 1898, and who also sent through a huge amount of detail about the Faulkner family who are his ancestors. To see more of the detail in this picture, click on it for a larger copy. The cross on the upper right hand window purportedly marks the spot where William Faulkner was born in 1836. William was Gordon’s Great, Great Grandfather. In 1977 Gordon and his mother came to England and researched the family history at Delapre Abbey. They also visited Preston Capes and Swan Farm. Gordon says that being able to show a copy of this photograph to the occupiers meant that they were invited to view the room. He also said that one of the male occupants of the house at the time, remembered throwing an axe at the sign of the Swan (visible in the middle of the building between the two windows), which he had found in a back shed in his youth!